Relaura is just the Arderial version of M'ck. 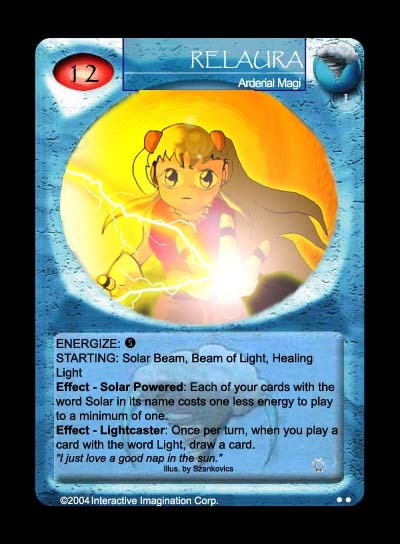 Instead of Rocks and Stones though, she works with Solar and Light. Her starting cards all helps her in that respects and she's very much a spell magi as opposed to a creature magi. The art is by Nick Szankovics.